Comic Cure has your prescription for laughter and entertainment. Our goal is to use the unifying power of laughter to uplift and engage communities. We specialize in matching comedians with non-profit organizations and mission based companies. Additionally, we provide comedic programming for performing arts centers, theaters, social clubs, companies, conferences, and more. Looking to add some laughter to your event? Let us find the perfect match for your organization. 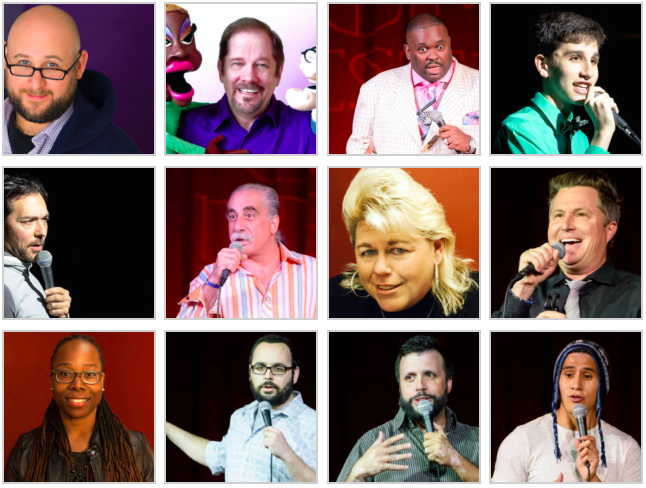 We book celebrity entertainers, emcees and one-of-a-kind comedians as well as produce comedy shows for private events, galas, fundraisers, holiday parties, special occasions and more. Contact us now to chat about your needs. Click here to browse some of our talent or contact us to discuss your exact needs.